Publication: October 10, 2014 by Oxford South Press. Fall in love like a 20 Something…. 23 year old Kenley Moran is going through a mid-life crisis… WAY early. Pushed since childhood by a nightmare stage-mom to use her looks to “land a rich man”, she’s reeling from a broken engagement and regretting the day she gave up her career in TV news for a guy. Now Kenley’s determined to change her life, shunning makeup and fashion and fighting her way back into the highly competitive career she loves, off-camera this time. When she lands a producing job at Worldwide News Network in Atlanta, she plans to keep her head down, work hard, and prove she’s not just another pretty face. And vows NO ONE is EVER going to make her compromise herself again. WNN anchor Larson Overstreet has it all—old money, good looks, a prestigious job, and more women than he can count throwing themselves at him. Problem is… none of it is real. He’s known his whole life that people are only interested in him for his fortune and his famous family name, in that order. Except for Kenley. The shy news producer isn’t interested in him at all. Working closely with the anchor of her new show, Kenley’s dismayed to feel an instant spark. Larson’s everything she doesn’t want. He’s too good looking, too charming, and worst of all, too rich. She’s not looking for another big money honey. In fact, she’d prefer a nice little guy from the mailroom, maybe a guy who lives at home like she’s been forced to do. But when they must travel together for a special report, Kenley realizes Larson’s not the spoiled pretty rich boy she pegged him as, and she’s not as immune to him as she’s pretended to be. Now, even at the network level, what happens behind the scenes is the real story. 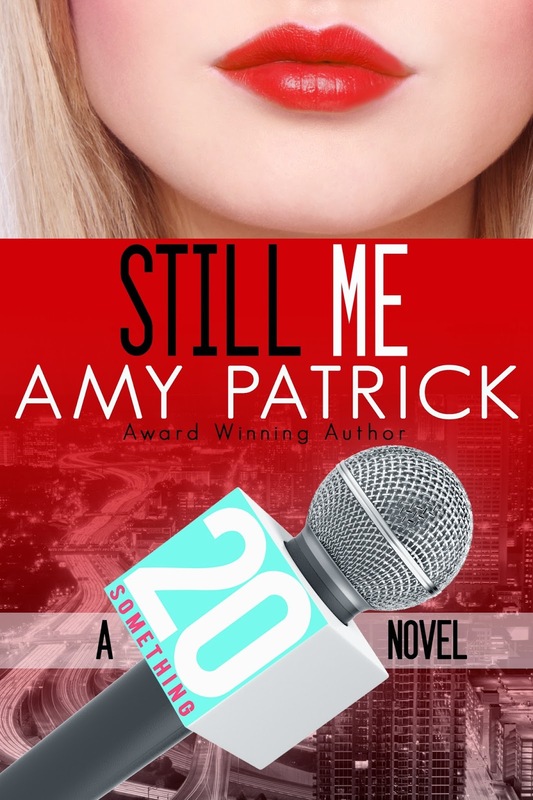 Amy is a two-time Golden Heart finalist (2013 and 2014) who writes Young Adult fiction as Amy DeLuca and New Adult romance as Amy Patrick. She lives in Rhode Island with her husband and two sons and actually craves the heat and humidity of Mississippi, where she grew up. She's been a professional singer and news anchor and currently narrates audio books as well as working as a station host for a Boston TV station.